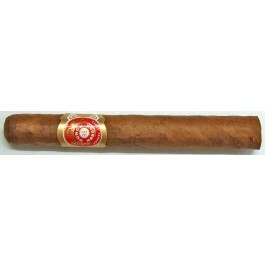 The Punch Royal Seleccion No.11, discontinued since 2010, is a medium Corona Gorda, 5.6”(143mm) long, of 46 ring gauge, and comes in a 25 cigars box. A spicy cigar with a regular and consistent draw. A very rich smoke which can be very surprising with its unique blend. Do not be surprised that the Punch Punch cigars are presented with other names according to the markets to which they are destined. You can find them with this name, as Super Selection No. 2, or as Black Prince. In fact we are before three Habanos that are one. They can only be differentiated by those who classify them or by a very experienced smoker, able to note which of them has that lesser tone that did not let is form part of a box of Punch Punch.